YOUNGSVILLE, N.C. - July 26, 2017 - PRLog -- Law enforcement leaders in every jurisdiction in America manage an ever-increasing list of complex demands including disillusioned & angry communities, increased protests, body camera protocols, the opioid epidemic, and more. With the current political and social climate, large and small police and sheriff's departments everywhere regularly respond to help protect communities, manage protests, and maintain order. Officers must be protected. Yet high demands in a volatile landscape place a heavy burden on already serious budgetary constraints. Outfitting a department with riot gear presents challenges. Historically each officer had to be individually sized. With continuous personnel changes, many departments have wrong-sized gear that must be replaced for incoming officers. Events in Baltimore, Ferguson, and Charlotte highlight gaps most departments face in being prepared to respond and the vital importance for departments to protect all officers at all times. Gear design is also more than 20 years old and they're hot and cumbersome, limiting officer's range of movement and areas to carry much-needed equipment. The time has come to address these issues & give every officer a solution. 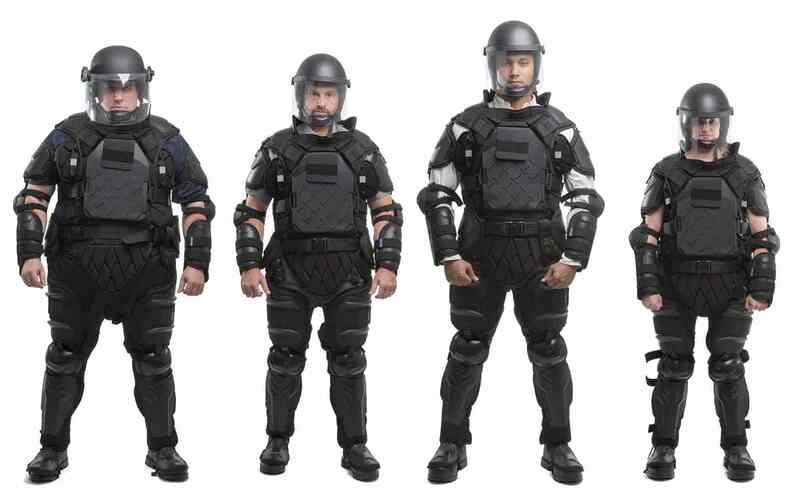 Introducing Tac Commander™ revolutionary new riot gear that is poised to change the industry and how law enforcement can protect themselves at an affordable cost. Adjustable gear designed to fit virtually everyone. Created with input from tactical officers, it's designed for maneuverability so officers can be protected and move quickly through a crowd. Protection features include the ability to carry blunt force trauma or ballistic chest and back plates and adjustable padding. Convenience factors include an incorporated duty belt and "shelves" for officers to rest their shield during long shifts and remain protected. "We saw in events in Ferguson and Baltimore that officers called in from the suburbs were not protected," stated John Roby, CEO of Sirchie. "Often, they had nothing but their standard uniform or a helmet at best. Sirchie is a true police partner and we believe it's our duty to provide officers with something that is affordable and most importantly, protects them. Nationwide, our police departments need to be better protected especially now when violence against them is more commonplace." TacCommander™ is now available for pre-order for an early fall delivery. Options for full protective gear including helmets and shields are available. Now in our 90th year, Sirchie manufactures high-quality criminal investigation, tactical, surveillance, and other police-related solutions including customized special purpose vehicles. We deliver industry-leading training for public safety, medical, and education communities featuring hands-on learning techniques. Our customers make communities safer by using Sirchie solutions to respond, investigate, analyze, support, and educate. All levels of government, law enforcement, corrections, medical systems, educational institutions, security firms, corporations, and more use Sirchie solutions to help Command Every Scene® they encounter.